1 Hotel Brooklyn Bridge is located at Pier 1 on Brooklyn Bridge Park, just south of the iconic bridge in the Brooklyn Heights neighborhood and minutes from downtown Manhattan. John F. Kennedy International Airport is a 45-minute drive. Welcome to your Brooklyn Bridge waterfront retreat. 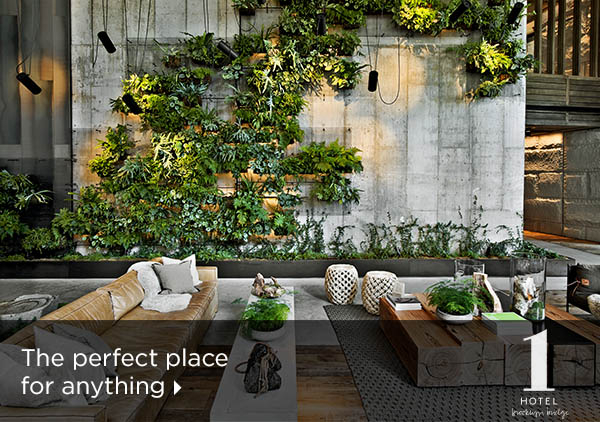 Designed by local artists using native greenery and reclaimed materials, nature is home at 1 Hotel Brooklyn Bridge. This LEED-certified hotel operates entirely on wind power, and uses a rain-water reclamation system, low-energy lightbulbs and a five-minute shower timer to remind guests to conserve water. 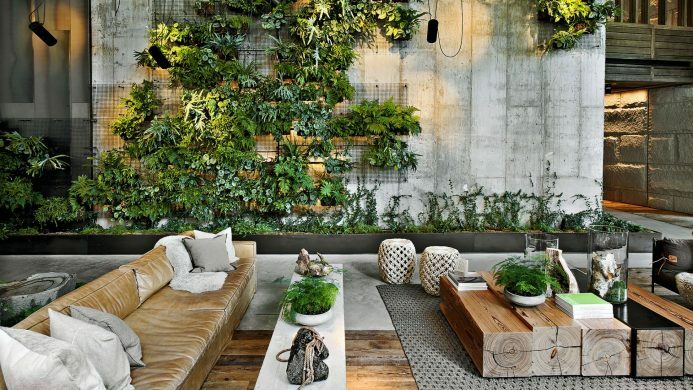 In each of the 195 rooms and suites, thoughtful touches bring nature into the space. Skyline views, reclaimed woods, industrial steel, custom organic cotton mattress by Keetsa and 100% organic cotton sheets are just a few of the unique features one can expect to find here. 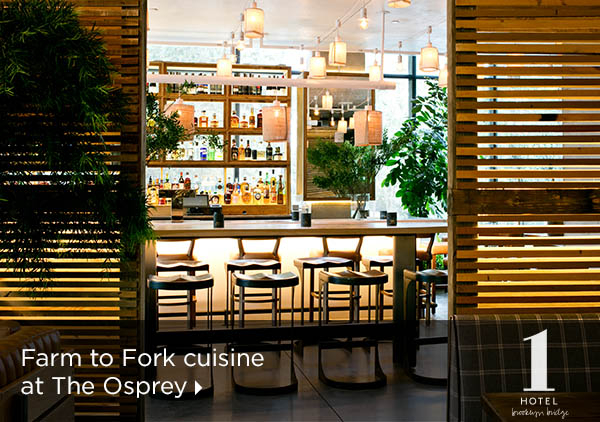 Discover farm-to-table comfort food at Osprey, the hotel's lobby restaurant, located just steps from the Brooklyn Bridge. 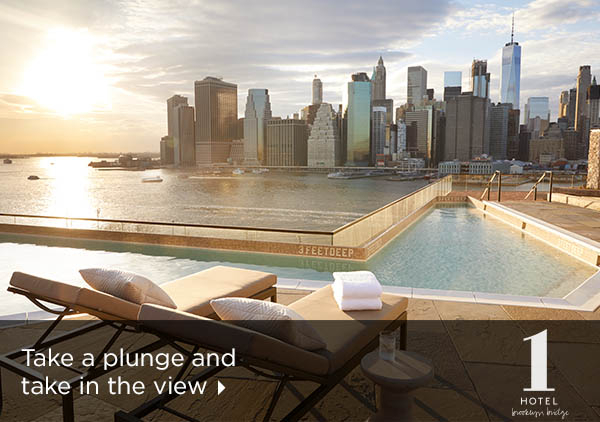 Afterwards, make your way up to the rooftop to take in expansive views of the Manhattan skyline. If you need to recover from days spent exploring NYC's streets, head to the Bamford Hayburn Spa. The ultimate nourishing escape, guests can choose from a wide selection of holistic treatments, body services and natural facials. Or, turn up the heat at POE Yoga, where hot yoga, fire barre and boxing classes are offered daily. 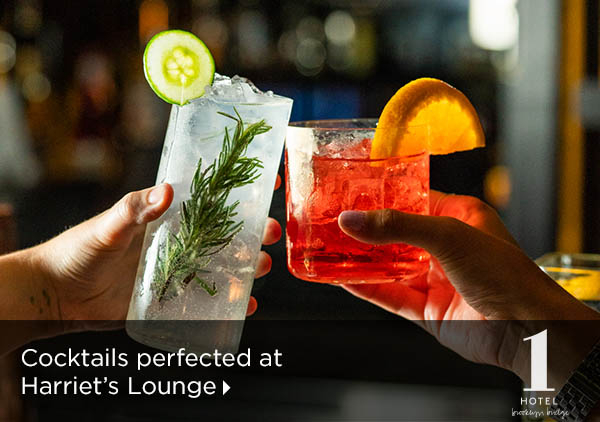 Send an availability request with your requested dates to the 1 Hotel Brooklyn Bridge. Thoughtful touches bring the natural location inside with floor to ceiling windows, architectural blackened steel, a relaxed seating area and reclaimed barnwood accents. Thoughtful touches bring nature inside with 1 King bed, sliding window and organic cotton sheets. Welcome to your beautiful two bedroom retreat. With two king bedrooms, thoughtful touches bring nature and comfort to your suite, like a carved stone soaking tub, curated minibar with house-made cocktail recipes and original artwork from local artisans. For even more space when you need it, ask about our adjoining room with two beds.